This is a must visit pub if you are in Durham. Excellent choice of ales, friendly barman and a positive step back in time in this timeless tavern . As a previous posting suggested, having left here and tried other pubs in Durham you realise you have made a mistake. Only had one pint, Titanic, but unlike that ship , this will not be my sole trip here. Old style unchanged town local. Worth a view although the Wylam Gold Tankard wasn't quite on top form. Coniston Bluebird, York Minster and York Guzzler, The usual Big Lamp Bitter and Wylam Gold Tankard. All in first class condition as ever. Well worth the walk up from the town. A good unashamedly old fashioned pub. Beers well kept although they could do with more of a variety from local small breweries, or from further afield. I was in the Victoria over the weekend of The Ashes (9-12 Aug). The beer selection was all from north-east breweries and both the Big Lamp Bitter and the Wylam Gold Tankard were in tip-top condition. The staff were very friendly, the locals also welcoming. 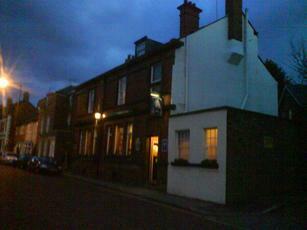 It's a small but clean and smart pub that is well worth the walk up the hill to get to. We left to sample other pubs in Durham and each one we went to increased the realisation that we made a big mistake when we walked out off The Victoria.